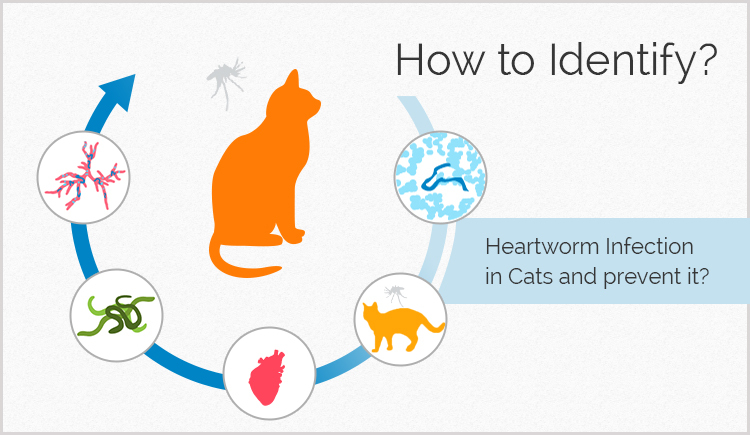 How to Identify Heartworm Infection in Cats and prevent it? Worms are one of the most disgusting parasites that not only annoy pets, but also prove to be dangerous to them. Out of all the worms that affect pets heartworms are the worst types of parasites. Normally, pet owners are under the impression that only dogs get affected by heartworms but that is hardly the truth. Even cats get affected by these dangerous parasites. But the way it affects cats is very different from dogs. Cats have an inbuilt immune system, unlike dogs that fights off the immature forms of heartworms transmitted by mosquitoes. Hence, the parasites do not grow to become mature worms to affect the heart and lungs of the cats. But since there are different sizes of cats the smaller ones get affected by even small amount of heartworms that may result in weight loss, heart failure, coughing and even death of the cat. 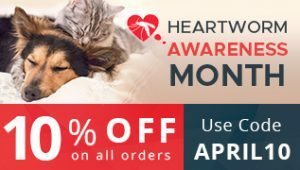 Due to the fact that the immune system of felines has the ability to eliminate immature forms of heartworm from developing into adult stage, the diagnosis of this disease in cats is not easy. Normally when a dog is presumed to be affected by heartworms a small blood sample is taken and then it is ascertained whether they have antigens which is a small part of adult female heartworm. The tests are very precise, accurate and the results are out very quickly. But in cats, since the quantity of worms is lower in numbers due to their immune system, it is quite difficult to detect heartworm disease through antigen test since the heartworms that affect the cats can be males or there isn’t sufficient antigen to identify. So it is advised to carry out an antibody test in cats. The beauty of an antibody test is that it identifies antibodies that have been generated by the cat’s immune system while eliminating the parasite. This test also detects whether your feline has been affected to heartworm disease. It can be a case where there is no presence of adult heartworms but a small quantity of worms or even only male worms. To treat your feline friend from this dreadful disease, it is recommended to give Milbemax Worming Tablets to cats. It not only eliminates heartworms but is also very useful in eliminating them. But the sad fact is that not many cat owners are aware of this ingenious treatment as even indoor cats are getting affected by heartworm disease in USA. So it is very important to protect your felines from this dreadful disease. If you find any of the symptoms mentioned above in the cat then immediately rush to your veterinarian and get your furry friend treated. Remember prevention is always better than cure. Always be careful and give a regular dose of heartworm treatment to your cat in order to keep them healthy and fit. If you would like to share experiences of how your cat dealt with heartworm disease, please do so and we will gladly integrate them in our upcoming blogs. Keep reading and be vigilant of heartworms in cats!! NEXT POST Next post: What to Do When Your Pooch Wants to Eat Ice-cream?